DALLAS (AP) — American Airlines will make a big technology change this weekend involving planes and pilots, but passengers won't notice a thing if all goes well. Nearly three years after the merger that created the current American, the airline is switching to a single flight-operating system instead of running three separate systems. Chief Information Officer Maya Leibman said American has been planning the move for months, and she expressed confidence in a smooth transition. "If something did happen," she added, "it could be that there are some minimal delays." American has tried to make the job easier by conducting the technology switchover on a Saturday in early fall, when fewer people are traveling, and by pruning about 200 flights from its schedule from Friday night through early Sunday. It took a similar approach when it combined the reservations systems of American and US Airways last October, and that went smoothly. The flight-operating system includes more than 500 applications that cover functions ranging from crew schedules to flight plans and the weight-and-balance calculations that are needed before a plane can take off. 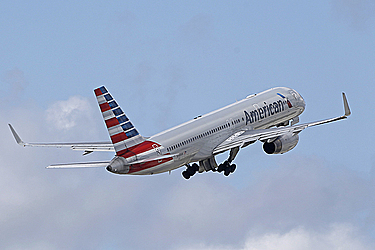 Including regional subsidiaries, American Airlines Group Inc. has about 16,000 pilots and 1,500 planes. There are three groups of pilots at the main airline — those who fly for American as it existed before the 2013 merger; those who flew for US Airways; and others who flew for America West before that Phoenix-based carrier combined with US Airways in 2005. Each group has its own set of planes. A single flight-operating system will let the airline move planes more freely around its network and will have no effect on safety, executives said. American's vice president of flight operations, Kimball Stone, said that the single system should improve scheduling of pilots and reduce cancelations that occur when a crew hits its legal limit on working hours and backup pilots aren't available. He declined to estimate how often such cancelations might be avoided. This month the president of the pilots' union, Dan Carey, blamed poor scheduling for American's industry-worst on-time record in June — it improved to 10th out of the 12 U.S. carriers tracked in July. He said some schedules violated the union's contract and increased disruptions and "fatigue events" among pilots.